Home > E-cigarettes > E-liquid > taste fatigue > Vape > vape life > How To Avoid "Taste Fatigue"
This time a new word will be introduced to you,that is,taste fatigue. People new to the world of vaping will be panic about this word. In details, this new word tells something about taste system of vapers --- they feel less sensitive of the flavor in e-cigarette liquid. Do you have this problem? 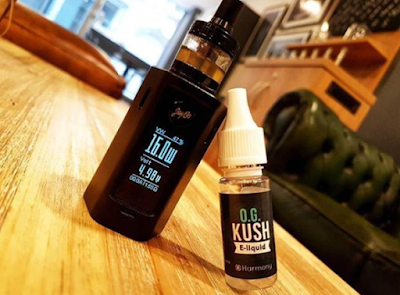 "Why do I feel no taste when I vape this e-liquid for more times"
"This oil has always impressed me, however, it changed suddenly and I feel terrible about it! Why does this happen ?" Usually, above problems are common in novice players, because they come in contact with a small amount of oil. Once they fall in love with some oil, they would like use it all the time. On the contrary, the veterans like changing different flavors of oil, reducing the resistance of one kind flavor. So how to improve this situation? There are many ways to avoid taste fatigue. 1.Exerting the most direct stimulation on the taste buds (eg. using oil of absolute zero degree and chewing toothpaste ) to awaken taste buds and olfactory cells. In that case, you could regain the sensitivity to fragrances. 2.Through the precipitation of time. You could give up vaping for a period of time, waiting for your taste sensitivity to restore. 3.The third method is to prevent the "Taste Fatigue" from happening---try your best to avoid using one kind oil for a very long period of time. It is the best way to solve the problem. "Taste Fatigue" problem is very common, keeping appearing on our road of vaping. Do not be worried about this. You will find the right way to solve it!